A jet engine is a type of air-breathing turbine engine, often used on aircraft. 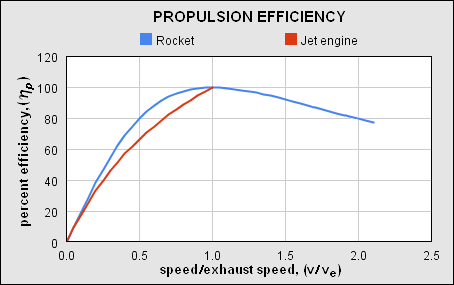 The principle of all jet engines is essentially the same. The engine draws air in at the front and compresses it. The air then combines with fuel and the engine burns the resulting mixture. The combustion greatly increases the volume of the gases which are then exhausted out of the rear of the engine. 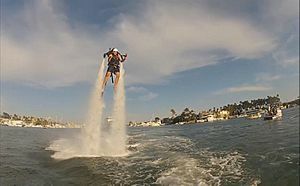 The process is similar to a four-stroke cycle, induction, compression, ignition and exhaust - taking place continuously. The engine generates thrust because of the acceleration of the air through it - the equal and opposite force this acceleration produces (Newton's third law) is thrust. 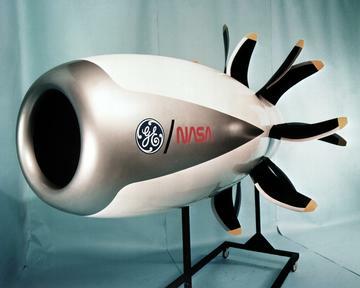 A jet engine takes a relatively small mass of air and accelerates it by a large amount, whereas a propeller takes a large mass of air and accelerates it by a small amount. The efficiency of the process, like any heat engine, is determined by the ratio of the compressed air's volume to the exhaust volume. Jet engine designs are frequently modified for non-aircraft applications, as industrial gas turbines or marine powerplants. These are used in electrical power generation, for powering water, natural gas, or oil pumps, and providing propulsion for ships and locomotives. Industrial gas turbines can create up to 50,000 shaft horsepower. powerplant to drive propeller shaft. 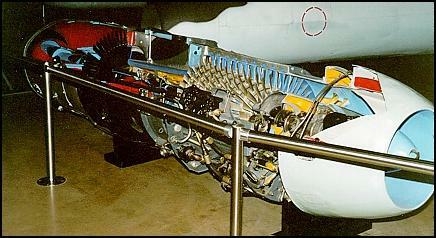 turbojet engine drives a propeller; like a turboprop but without ductwork. Air enters a tube, the front of the tube is shut, fuel in the air ignites, exhaust vents from other end of tube. noisy, inefficient, parts subject to mechanical fatigue. Similar to a pulsejet, but combustion occurs as a detonation instead of a deflagration; may or may not need valves. Extremely noisy; parts subject to extreme mechanical fatigue; hard to start detonation. An additional oxidizer such as oxygen is added to the airstream to increase max altitude. Airspeed limited to same range as turbojet engine; Carrying oxidizer like liquid O2 can be dangerous. Jet engine Facts for Kids. Kiddle Encyclopedia.